Cindy Chinn provides a complete range of creative services from completed artwork to consulting. She has decades experience in a wide range of media as well the ability to complete projects in wood, metal, canvas, and more. 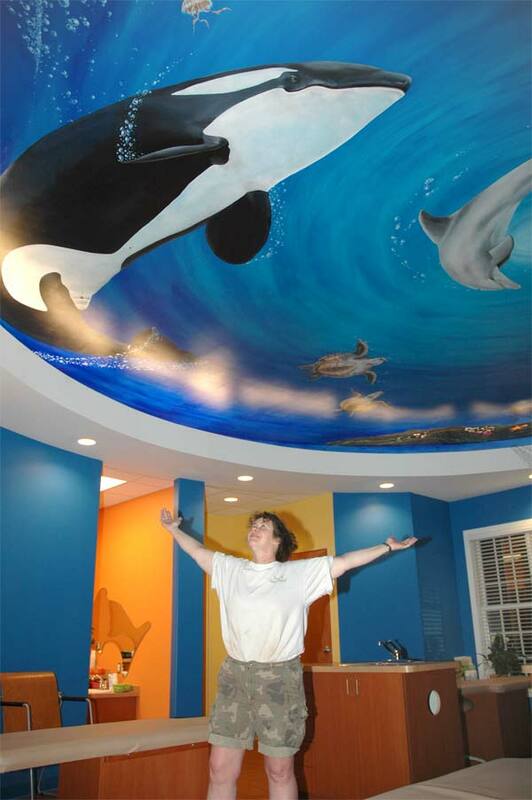 Cindy has installed murals across the country and shipped artwork around the world. Cindy plans to have a studio open by the winter of 2018. We’ve just confirmed that the Easter Bunny is making a stop in.. Copyright © 2019 Chester Nebraska. All rights reserved.